Crytek who is the developer behind the Crysis game-series, recently showed off some VR with their Oculus Rift Demo Back To Dinosaur Island during GDC. And that looked pretty good from what they had to show. Now Crytek’s managing director Faurk Yeril has spoken to GameSpot in an interview regarding their plans for Cryengine and VR in the future. During the aforementioned interview with GameSpot, managing director Faruk Yeril said that “they see VR as an Important device for enthusiasts” right now, and in the future it should hopefully go mainstream. 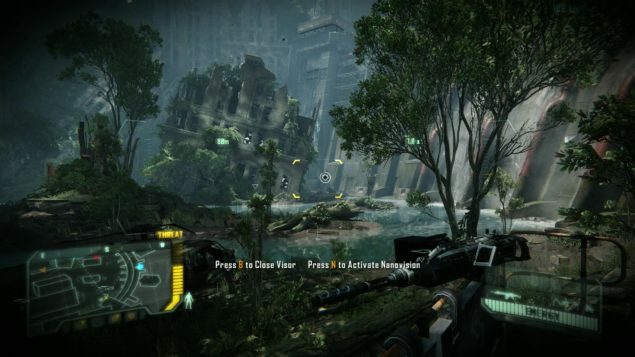 He continued to talk about all of the current challenges of bringing VR to a much wider audience, mentioning the physical limitations “in terms of what gameplay actions you can do.” And regarding how they would deal with the motion sickness that almost all current VR-devices suffer from, Yeril stated that Crytek “already found solutions” for it. And on the hardware front Crytek’s creative director Frank Vitz told them that the engine currently was able to make use of AMD’s LiquidVR technology “directly out of the box” thus enabling lower latency across multiple GPUS. A VR game in the Cryengine could potentially be really amazing, but Crytek has hit some issues in the past few years, such as RYSE Son of Rome, not doing very well, and having to actually sell the rights for Homefront 2, a game they were in the midst of developing, and before this there were rumours of Crytek not being able to pay out any salaries for many employees for a long stretch of time. The company has stabilized since all this happened last year, so who knows, something good might be in development right now.